Madhur Bhandarkar has been known for choosing topics that show the other side of the world, especially the darker side, which people are not aware of. While we just think of Bollywood and the fashion industry as glamorous world, his films Heroine and Fashion showed the reality of these industries. And ever since he announced Indu Sarkar, he has found himself amidst controversy. 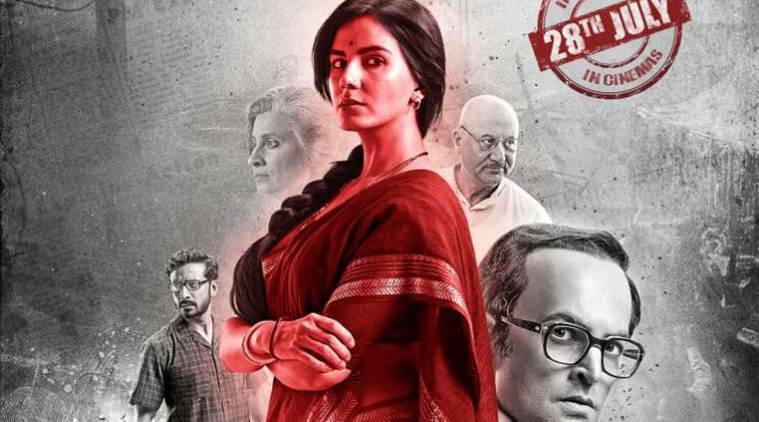 The movie which is just a few days ahead of its release, July 28, is based on the Emergency which was imposed under the rule of late Prime Minister Indira Gandhi from 1975 to 1977. It features actors Neil Nitin Mukesh, Kirti Kulhari, Supriya Vinod, Anupam Kher and Tota Roy Chowdhury, who will play the characters inspired by the late Prime Minister Indira Gandhi and her son Sanjay Gandhi. After the Central Board of Film Certification (CBFC) committee suggested 14 cuts to the film, the movie has again faced the chill wind. According to reports, the movie will not release in Indore. As per the reports, the Congress party workers have issued a warning letter to the Cine Circuit Association and Cine Grah Sanchalan against screening the film in theatres in Indore. They further stated that if the film is released in the city, they will resort to protest and also burn the effigies of actor Anupam Kher and director Madhur Bhandarkar. Moreover, the workers threatened to destroy movie theatres and will held all the owners and administration responsible for the same.